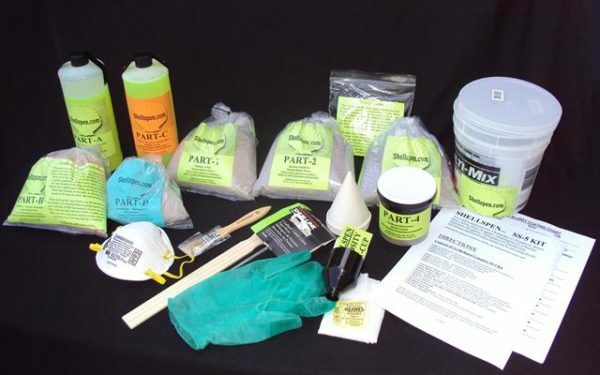 This kit has everything you need for the ceramic shell process including the Shellspen Suspension. It is a two‑part formula for the Slurry, Pre‑wet liquid, 3 grades of stucco, Refractory cement, Viscosity Test Cup, Working Manual and Coating Charts. ( Must keep from Freezing ) Shipping weight 11.4 Kilograms / 25 Pounds.